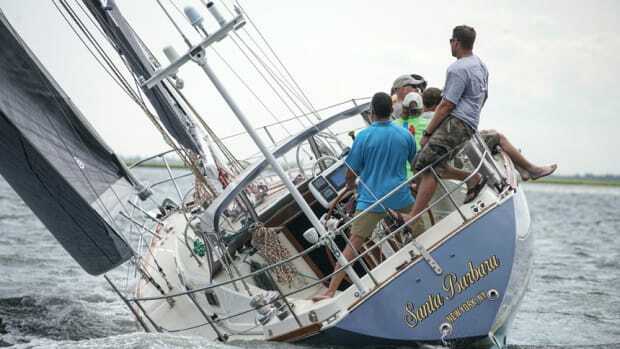 Still, there came a time when a 19-foot open boat just didn’t serve anymore. 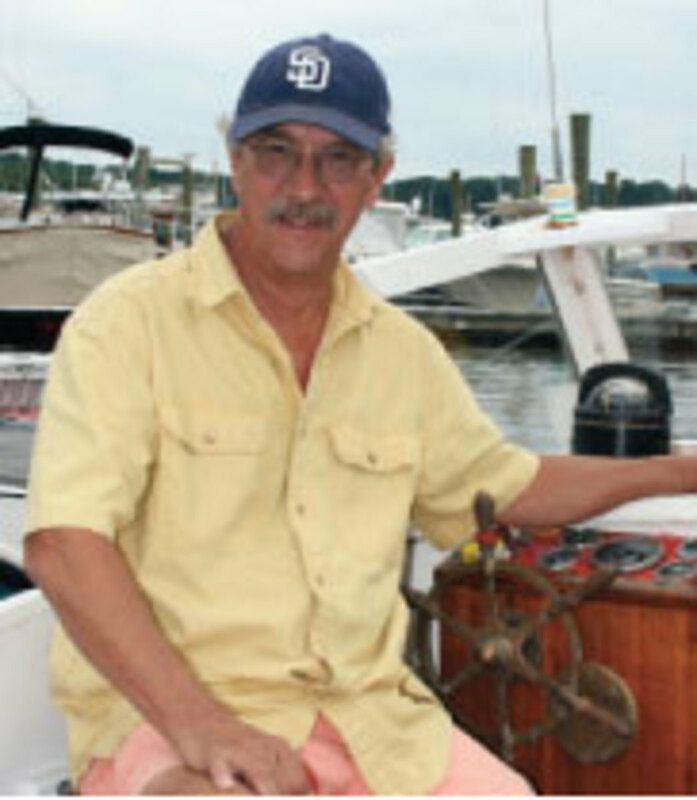 “We decided we wanted a cruising boat with a head, a galley and accommodations,” Seymour says. “We’d just sold our business and retired, and wanted to live on it in the summertime.” Twin diesels “with a lot of power” were also on the must-have list. “I was going to thrash through everything,” he says. 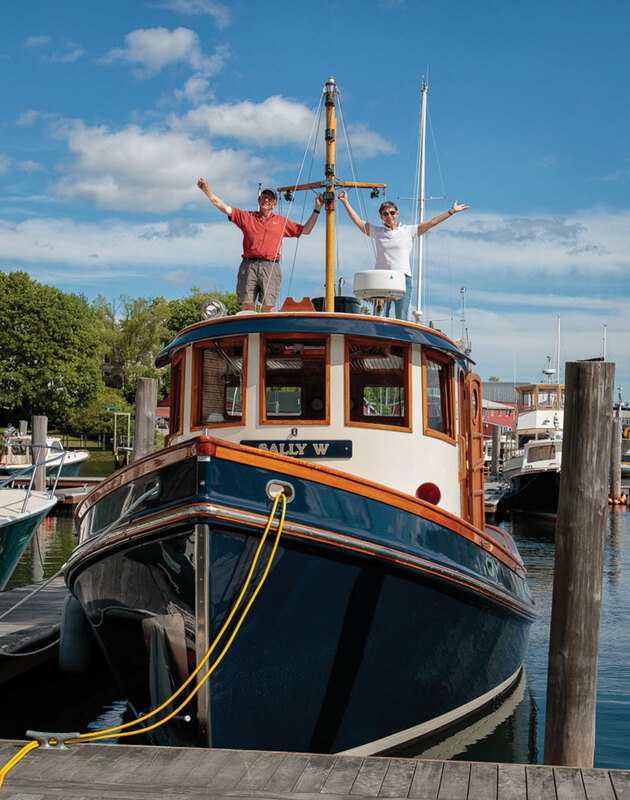 Soon after, in 2009, they found a 37-foot Lord Nelson Victory Tug in Annapolis, Maryland, vintage 1985, built by Ocean Eagle Yachts in Taiwan. 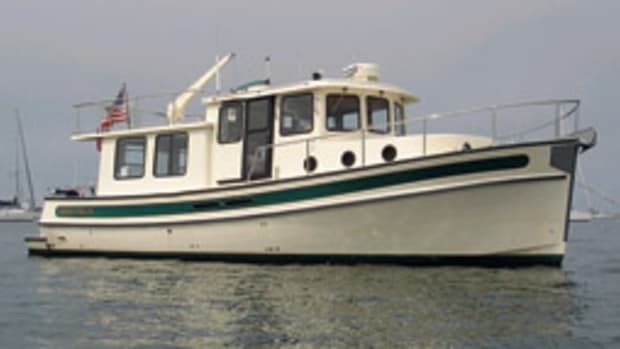 The couple traded in their Whaler (to the tug’s owner) and settled on a deal for the 24-year-old boat. The price was $180,000. 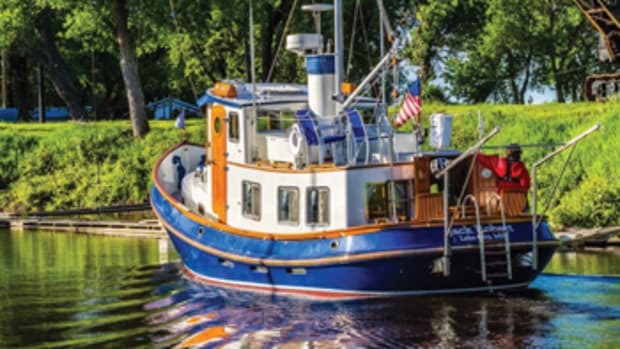 PowerBoat Guide calls the Lord Nelson Victory Tug a “popular coastal cruiser with a bold workboat profile.” The tall bow and rounded wheelhouse are her two most distinctive tugboat design features, followed by the smokestack and signal mast. 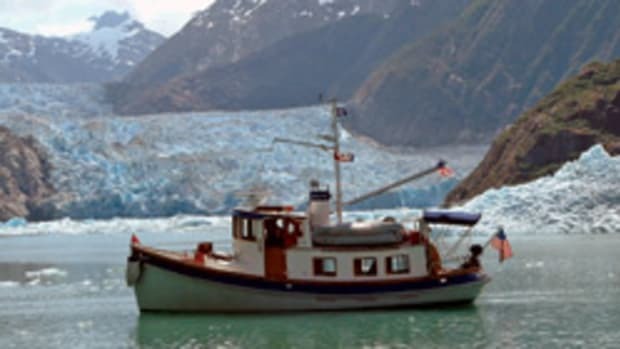 The layout has a single stateroom down and forward, set up with an offset berth, hanging lockers and stowage. An adjacent head compartment has a shower. The saloon is aft, well-lighted and ventilated with side windows. It has room for a settee and additional seating. The U-shaped galley-up is to port. 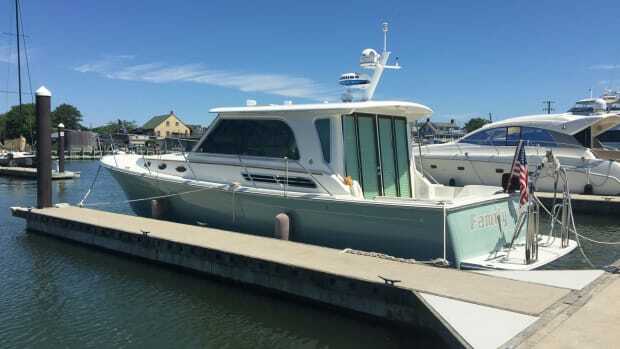 The raised pilothouse offers good views around the boat, and there’s a Dutch-style side door next to the helm. 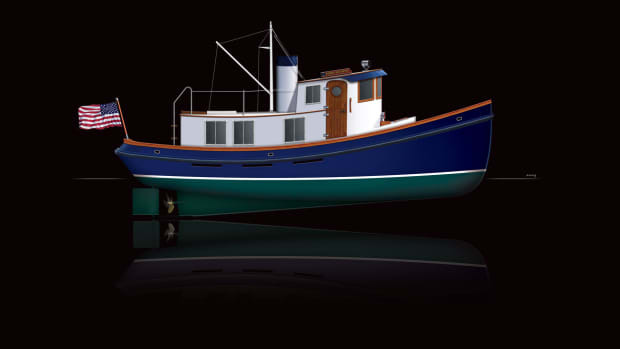 Victory Tugs have a teak interior, and varnished rails and trim on deck. 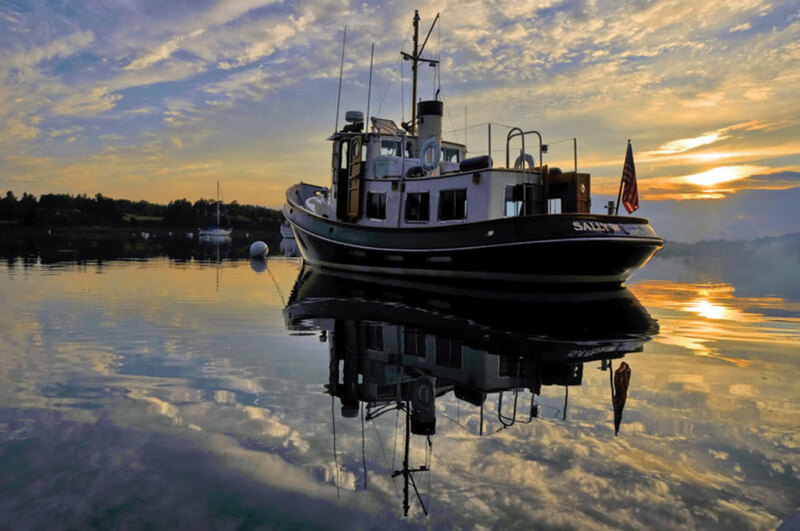 More than 70 of the 37-foot Lord Nelson Victory Tugs were built during its 1980s production run. 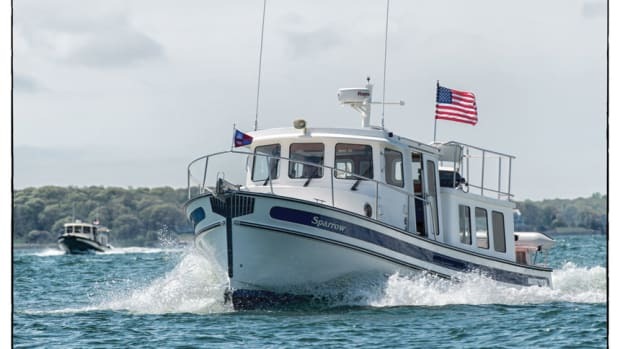 The boat was conceived by Seattle-based couple Loren and Lani Hart and designed by Jim Backus, whose other boats include the Cherubini 45 and the Bulldog 26 aluminum tug. Victory Tugs were built in Taiwan, first by the Hai O yard (through hull No. 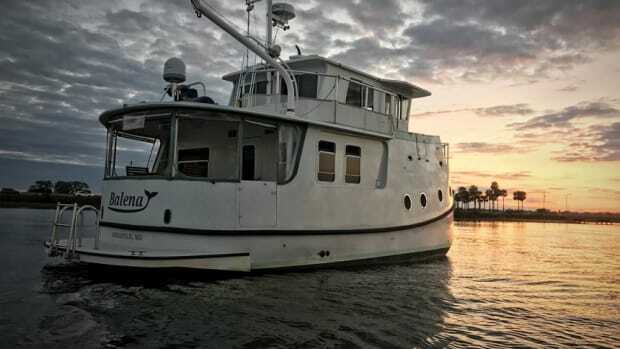 18) and then by Ocean Eagle Yachts. The company is no longer in business.